When guard Tim Johnson joined AVC last year after a rocky year at Santa Monica JC, he believed that he was a basketball freshman due to an injury that kept him from playing more than a couple of early games. The powers that be disagreed and part way into last year, Tim was told that he was considered a sophomore. That was a tough blow for Johnson as he was just learning the complex D-1 style AVC system and would not be able to show university scouts his full potential in just one year. Tim took the the blow like a man, continued doing his academics and became the “energy man” coming off the bench playing both the point guard and shooting guard. 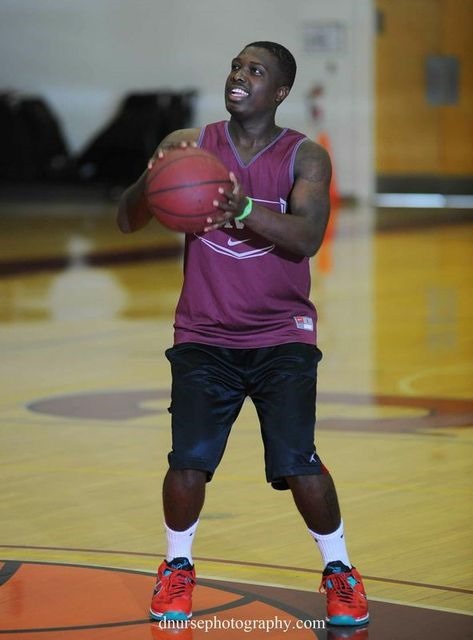 He did not get a great deal of playing time but he was a key in helping AVC toward it 27-5 record last year. Tim was very popular with the coaching staff, players and fans at AVC. Congratulations to Tim Johnson. You deserved this shot. Make us proud. Tim decided that the cost to him of the partial scholarship was too great and headed home to re-think the direction he is going in basketball.